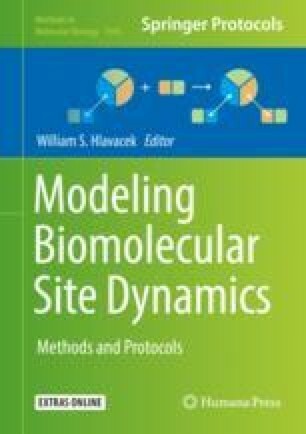 We present a tutorial on using Pycellerator for biomolecular simulations. Models are described in human readable (and editable) text files (UTF8 or ASCII) containing collections of reactions, assignments, initial conditions, function definitions, and rate constants. These models are then converted into a Python program that can optionally solve the system, e.g., as a system of differential equations using ODEINT, or be run by another program. The input language implements an extended version of the Cellerator arrow notation, including mass action, Hill functions, S-Systems, MWC, and reactions with user-defined kinetic laws. Simple flux balance analysis is also implemented. We will demonstrate the implementation and analysis of progressively more complex models, starting from simple mass action through indexed cascades. Pycellerator can be used as a library that is integrated into other programs, run as a command line program, or in iPython notebooks. It is implemented in Python 2.7 and available under an open source GPL license.